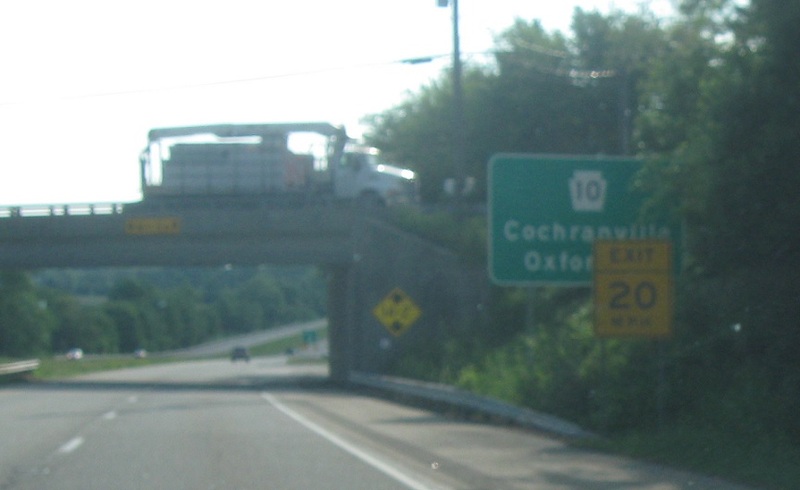 Just as we pass PA 472 we’ll approach PA 10. 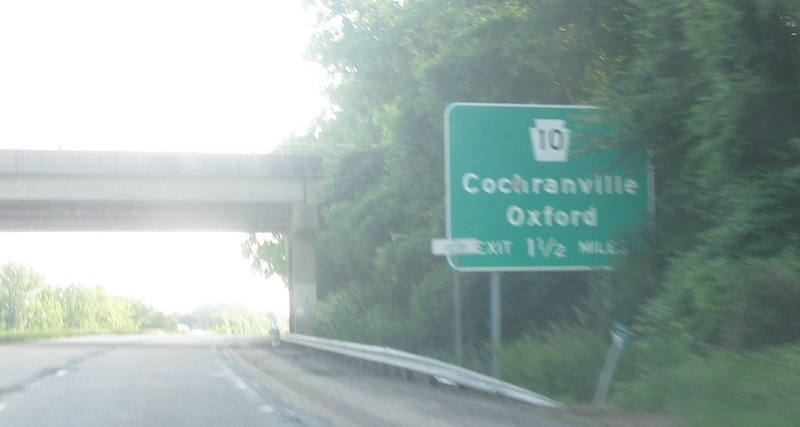 Exit in a mile for PA 10 as we head out of Oxford. 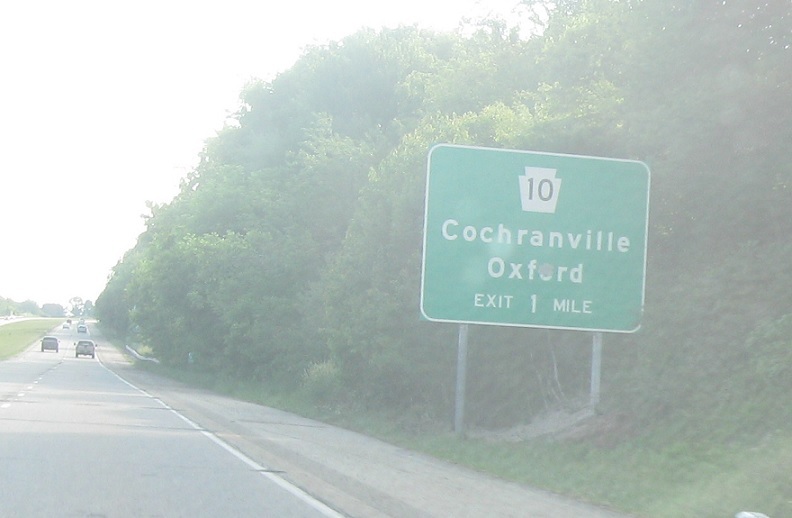 Follow 10 north to Cochranville and south back into Oxford.